With the development of gambling business, there has appeared an opportunity to create gaming clubs to attract devotees of gambling. In this case, such gaming equipment as computer tables, chairs and, of course, computers for a gaming club is installed in a large room. In order to attract players, most owners of the clubs organise small cafés for high-grade rest here. 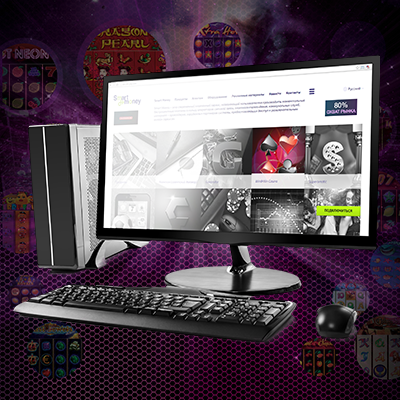 We advise that you should apply to Smart Money that provides reliable, modern and powerful computers for gaming clubs. The specialists know everything about system blocks and other gaming supplies that support the newest games. We want to remind that online games have a number of advantages: they develop and train memory, logic, imagination, strategic creativity, help understand own mistakes and not to repeat them in future. Of course, online games are not for everyone – experts think that they can harm adolescents’ psyche and are dangerous for gaming addicts. But an owner can keep everything under control if he/she follows the rules and chooses the right contingent. Thus, the creation of conditions for guests’ rest plays a vital role. Excellent room and gaming equipment of high quality will contribute to it. How to organise a gaming club? Let’s have a closer look at what it is needed to consider while organising a gaming establishment of such a type. The first step that you should make is to investigate the target audience. You should define who will visit your club: men or women, students or employees. Perhaps, the mixed contingent will come – it will be a plus for the organisation of this business. It is important that you should motivate guests to stick to certain rules while staying at your club. Besides, you should not allow adolescents and drunk people to come to your establishment. Next, you should choose a spacious area that is situated not far from public transport stops as people usually visit gaming clubs after work. Players want to have a rest, so a small café will be a wonderful idea for an establishment, as it gives them an opportunity to have a cup of coffee or even have a bite. Visitors who want to relax and play away from a noisy city and domestic problems will come here with pleasure. What should there be in a gaming establishment? Most people think that everything is pretty simple: just set tables, chairs and computers – and the rest will work out. But there are some nuances that you should consider while organising such club. Computers for gaming club have to be powerful to play popular games. 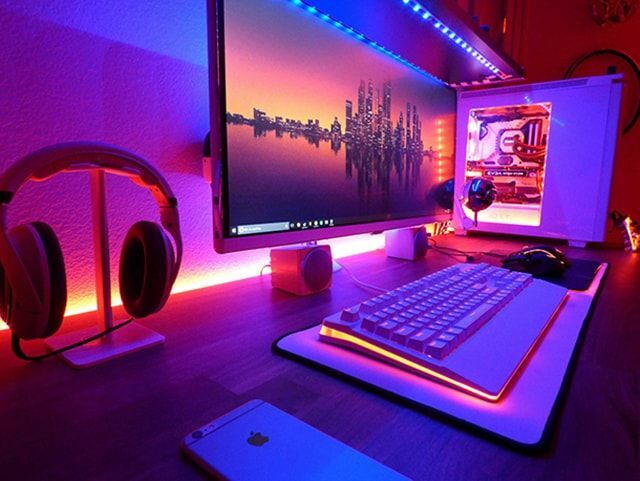 It is worth taking into account the fact that high technologies develop rapidly, games become better, so you have to select computers for Internet café and characteristics of programs thoroughly. It is better to apply to professional developers and programmers who know for sure what gaming equipment is needed. Main components of a system block for a computer are a video card, a hard drive, a processor and random access memory. It is the energy-dependent memory that stores information on a computer. SSD is the most reliable, as they are hit-resistant and work silently. It should not be built into a processor but be discrete (in the form of an individual chip). Minimum requirements for it are 2 GB of memory and 256 Bits of capacity. Experts advise choosing video cards from ATI or NVidea. It should be dual-core or multi-core with the clock rate not lower than 2 GHz. Such brands as Intel and AMD are recommended. In computers for a gaming club, it should be not less than 8 GB, but the connoisseurs state that 16 GB is preferable. Here you should consider the characteristics of a motherboard, too, as these components are interconnected. The RAM clock rate should be at least 1,600 MHz. All the main components should fit each other’s capacity. Because, for example, if the RAM is more powerful than a video card, the latter will not be able to carry the load properly. Computers require all the components be of a single level. Note: if you enlarge the number of gaming equipment with glasses, helmets, gloves, remote control and other gadgets, your visitors will be able to play virtual games that are in-demand now. As a consequence, it influences the number of people that come to your establishment. Its capacity has to be not less than 650 Watts especially if you choose equipment of an average class. At first glance, power supply seems to be something secondary, but it is not true – low-grade power supplies can put computers for casino out of action: random reboot will occur, a motherboard will be out of order etc. Due to this, we do not recommend to buy cheap power supplies. For usage in a successful establishment, it has to be large – at least 22 inches and TFT. Why do we mention this very kind of monitors? Because they save energy, have a minimum radiation level and do not overheat. For players, it is the most optimal variant, but big LED monitors are so light that they can be thrown off a table. Of course, it happens rarely, but it is better to fix them, or specialised furniture will be required. The angle of vision is important here, too, so owners of establishments choose themselves whether to risk and set monitors on a table or to order furniture and ask professionals to install it. It is not worth buying the most expensive wireless ones, as they have a way of disappearing. And you should choose wired mouses thoroughly because if mouses do not have secure wires, the cable will become useless owing to constant excesses. Consider thick and solid cables. Games are not only video but also sound effects. They have to be of high quality and at the same time do not interfere with other players. So you should equip computers in your gaming club with good headphones – neither compiled manually nor cheap ones. Visitors of a well-equipped establishment expect that sound effects will be played perfectly; otherwise, they will just not come again. It is worth asking sellers and other owners of computer clubs how fast the text on keyboard buttons erase. This information will allow you to choose the most reliable variant of a keyboard. Some people mention Logitech, a respected brand, but while using their keyboard text on buttons disappears quite soon. 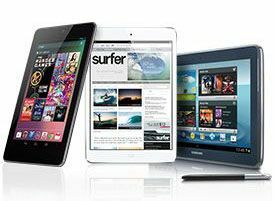 If you aim to purchase not only gaming equipment of high quality but also computers for Internet café where citizens will come to use the Internet, you should think over this aspect. There exist special adhesive oracal letters that can come in handy. This disk will fasten the system and games the volume of which can be 50 GB or even more. Most owners of clubs advise to order furniture and to fix system blocks on walls – this way will prevent system blocks from breaking and other malfunctions. But still, if you decide to buy a frame, you had better install it together with Winchester somewhere high but not on the floor. Gaming club visitors may use them rarely. But you had better install USB, as well. This device will come in handy, too. If visitors need to download photos, games, music or documents from their memory cards, they will not have to search for other establishments. The guests will not have to send data from mobile phones to their email accounts; this process takes time. Being cheap, memory card readers will serve you, so there is no sense to abandon them. In addition to computers for the gaming club, you have to buy computers for operators who manage everything in the establishment. Usually, an operator controls the work of equipment and deals with problems that visitors can not solve on their own. For example, troubleshooting casino computers, printing documents etc. Operators’ workspace can be equipped with the same (or more powerful) computers as players have. Besides, operators should have CD/DVD RW to burn disks, a laser (colour or black & white) printer and a scanner. Those who state that a printer is a waste of money make a mistake because guests often need to print anything. As there are a lot of visitors, operators will not idle. This equipment will bring additional income, as clients have to pay for these services. As far as CD/DVD RW is concerned, an operator can help a customer to write, for instance, wedding photos (videos) or prom recordings on a CD or DVD. This service is not free of charge, too. An operator can provide visitors with other services, but it is up to you to decide what kind of services they will be. what is forbidden in the establishment etc. 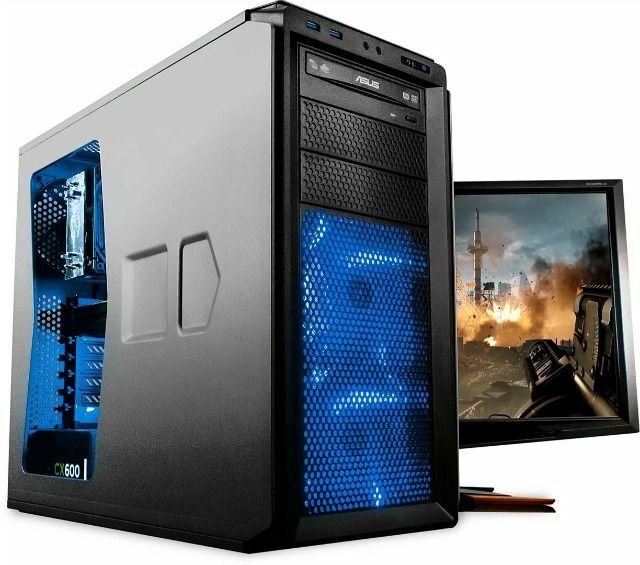 Experts recommend buying computers for a gaming club and the rest gaming equipment from well-known brands such as Smart Money. Specialists of this company will always suggest you what computers for an Internet café or operators it is better to purchase. Minimum channel capacity for one client: 256-512 kbit/s. Should be redefined after increasing the number of PCs.